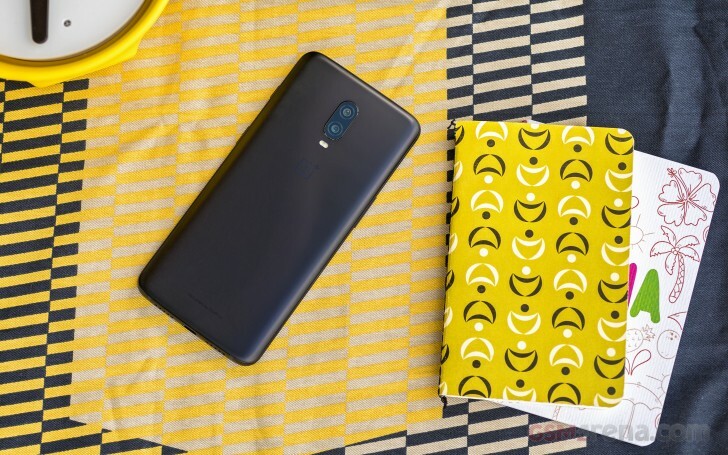 Its partnership with T-Mobile has unsurprisingly helped OnePlus to move many more units of the 6T in the US than it did of its predecessor, the OnePlus 6. 249% more, to be exact. The figure comes straight from OnePlus CEO Pete Lau, speaking in an interview with PCMag. He hasn't shared actual sales numbers, but did reveal that the entire team is really happy with how things are going for the company in the US at the moment. The OnePlus 6 sold more than a million units globally in the first 22 days of its availability earlier this year, but since Pete Lau's statement above refers only to US sales of the 6T, we can't really draw any definitive conclusions. Lau did once again address the removal of the headset jack in the OnePlus 6T, saying that "it was a very painful decision", but one that needed to be done - "as the screen gets bigger and bigger, with a bigger battery, it limits the space" inside the phone. He conceded that the company can't satisfy everyone. Interestingly, he hasn't ruled out OnePlus launching a smaller phone in the future, but there's a huge caveat. In Lau's words: "if we can solve the battery problem, we would definitely make a smaller one. I see a lot of demand for this kind of size. But looking at the industry, the technology of batteries hasn't changed too much over all these years". So don't get too excited just yet - OnePlus wants to deliver very good battery life even from a smaller form factor, and apparently that's not really plausible at the moment. Regarding 5G, Lau has confirmed once more that OnePlus is working on a phone with the technology for EE in the UK. That carrier uses frequency bands below 6 GHz, just like T-Mobile and Sprint will in the US. On the other hand, millimeter wave tech (that is apparently going to be used by AT&T and Verizon) is harder to build for. "The whole industry knows that it's easier to build for sub-6 than for millimeter wave", Lau said, adding that he believes OnePlus will find a solution for millimeter wave sometime next year. Unfortunately, he also confirmed what many consider to be the dark side of 5G: at the beginning, there will have to be custom 5G phones for each carrier's network. No interoperability whatsoever, no hopping from one 5G carrier to the next. Finally, Lau said OnePlus is still working on a smart TV, but the team dealing with that has been given plenty of time to come up with ideas of how to make such a device "burdenless". "We don't have a launch date now. We will not launch until we think it's ready and perfect", he added.